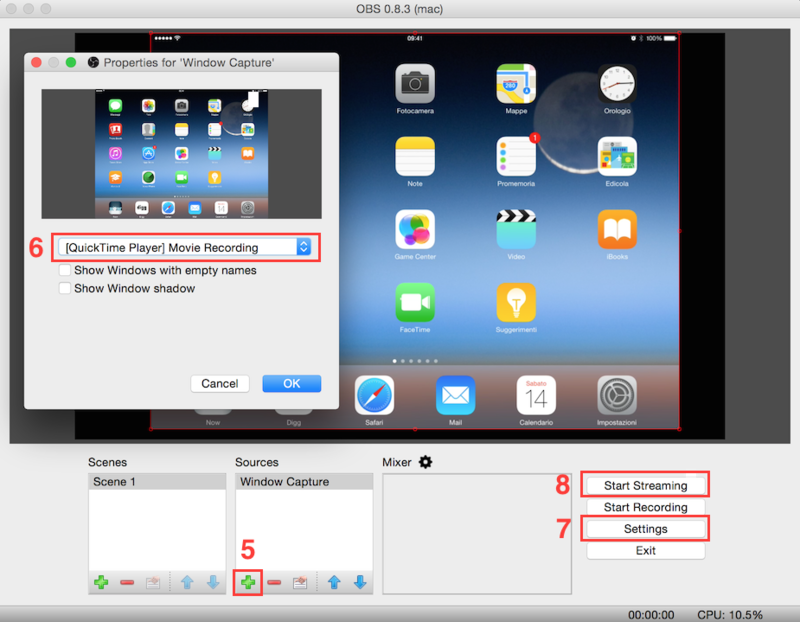 Dowload OBS - Open Broadcast Software MultiPlatform and install it. Connect your device to your Mac using your Lighting to USB cable. Click the arrow near the red record button and choose your device as the source camera. You can also select your device name in the Microphone section to record any audio coming out of your iOS device. Open OBS and under Sources click + sign and select Window Capture. Create new one and then select your QuickTime window in the popup menu that list all your windows open. Click on Settings button and copy your Stream key in Stream settings (you find it in your twitch.tv dashboard). Click on Start Streaming button.